Did you know that turkey has less fat than beef? It is leaner, and if you are a Trim Healthy Mama like me, it can be easily incorporated into almost all meal types (in both an S and an E-- because it is a lean protein). It is such a versatile food and a great way to make an easy change to be healthier in the new year! Just out Jennie-O's make the switch video! 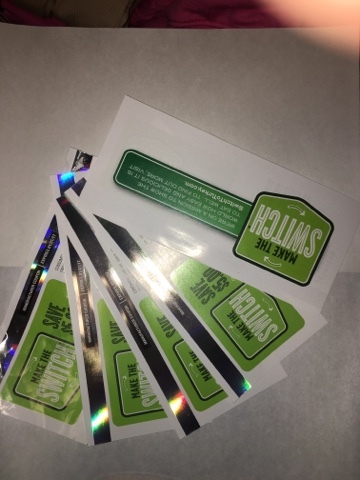 We are giving away 2 packs of these $5 off coupons. We know they expire soon, so this is a flash giveaway which will end tonight! I will mail them via priority mail tomorrow (so that you get them before they expire) and you will be well on your way to being healthier too! MamaBreak received coupons to share with our readers here on the blog. We did not receive any other type of compensation. As always, our experiences and opinions are our own.